Vehicle Presentation - Introducing The Western Star 6900XD! Hi. Well I know you want to keep you'r card's close to you chest. And I'm very sure of that won't be any DLC after American Wild. And I know that if American Wild would be to great that fans wouldn't buy Mudrunner 2 when its its realised, do to that many maybe are satisfied with the American Wild DLC, because it seems like we have to pay for it. But that's just my thoughts. But could you give me a good answer on why there never been considered to put battery powered winche or vehicles with track's in any of the game's. What I did mean was, that if or are Petebilt, Mack or Oshkosh going to be one of the vehicles in American Wild. @hydrowasul yes, i know this discussion- we want to winch flipped trucks...but its only possible on jeeps, and dont forget that they are equpped with only front winch "in stock". 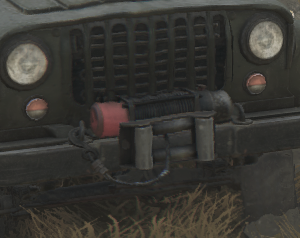 But they need this unrealistic side winch...yes, where are portable winches, but to fit in on the side of the vehicle - i dont believe. As for mechanical or pneumatic winches on flipped trucks - its nonsence. you do not have a driven front axle.! my request to the devs. please fix that. since you were very accurate with the russian trucks. but that's an absolute no go, it almost looks like you've gotten a SketchUp 3D model and revised it a bit. no the axles are different, the difference lies in the bend of the axle body.